The largest city in the country, Helsinki city is the capital of Finland, as well as the political, economic, financial and cultural centre of Finland. With almost 70% of foreign companies settling down in Helsinki, the city has become a key cog in the European market. Helsinki has been chosen as the World Design Capital, for 2012, after beating out Eindhoven in the competition held by the International Council of Societies of Industrial Design. Being the northernmost capital city amongst the EU member states, Helsinki isn’t the warmest place in the world. However, the presence of the Baltic Sea as well as the prevailing Gulf Stream, the weather is quite humid and not as cold as other parts at the same latitude. Winters are generally around -50C but have been known to drop to -200C as well. The summer months, especially between July and August, are quite pleasant, but humid, at around 200C. However, the main problem with Helsinki is the sunshine. Winters have barely 6 hours of day-light with cloudy skies making things appear darker still. The proximity to the sea means that summers are nice and warm, even at nights. Summers also tend to see almost 19 to 20 hours of sunlight, as opposed to winters. Helsinki is a fantastic city with a lot of historical significance. The architecture, designed by Carl Ludvig Engel, is absolutely divine in its neoclassical tone, especially in the city centre. 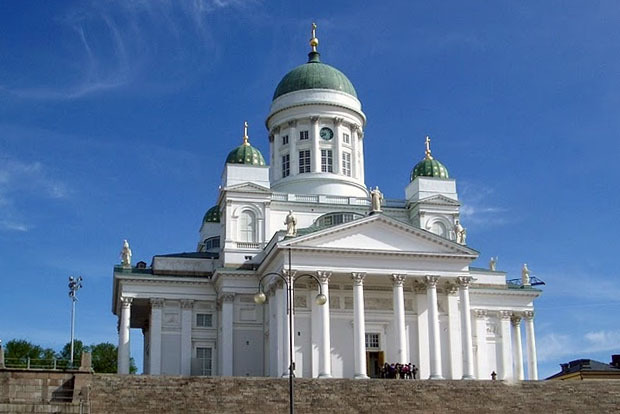 The Helsinki Cathedral and the Government Palace are tourist hotspots, with people lining up to see the fantastic buildings. In a sports-crazy city like Helsinki, there are many sports stadiums for tennis, football, swimming and much more, all fantastic places for guided tours. The Lasipalatsi, or Glass Palace, is also a popular location for those looking to take some time off in some nice cafes & even ice cream bars. The National Museum of Finland is a fantastic place for those interested in Helsinki’s 500-year history. There are plenty of museums in the city, especially at the University of Helsinki – home to the University Museum and the Natural History Museum. Helsinki is Finland’s most diverse city, when it comes to art, music, films and culture, in general. Visual art is the most popular form of art in the city, with the Finnish National Gallery hosting three different galleries for three different types of genres. The Ateneum Art Museum is dedicated to classical Finnish art while the Sinebrychoff Art Museum is host to classical European art. The third gallery, the Kiasma art gallery, is host to works of Modern Art. There are three major theatres in Helsinki, the Finnish National Theatre, the Helsinki City Theatre and the Finland Swedish Svenska Teatern. 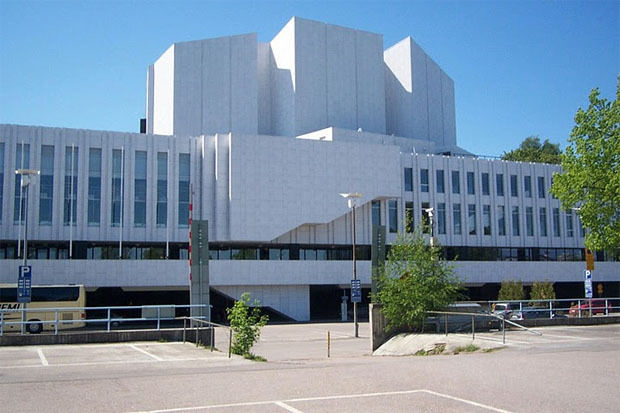 There is enough and more for lovers of classical music, with the Finnish National Opera and the Finlandia Concert Hall playing host to a number of concerts throughout the year. Helsinki is also the host to major art festivals like the Helsinki Festival that takes place in August, which includes a “Night of the Arts” event as well. The Valon Voimat or “Forces of Light” is another annual winter arts festival that draws people from all over Europe. Located on the edge of the beautiful Gulf of Finland, the Hilton Hotel Kalastajatorppa is the ideal place to be for those travelling to the city on business or pleasure. Just a few minutes from the city centre, the Hilton offers its guests easy access to all the important business locations and tourist attractions in the city. From the Helsinki Cathedral to the Soumenlinna island fortress are almost neighbours to the hotel while the train station and airport are just a short drive away. 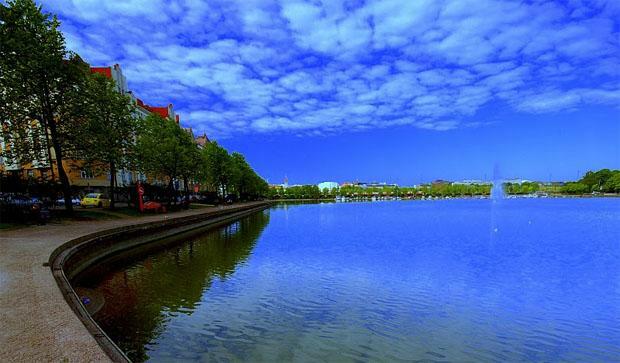 The Hilton Hotel Kalastajatorppa exudes the warmth that Helsinki is renowned for. Cosy rooms are supported by fantastic breakfast at the Oceana restaurant. The hotel’s terrace restaurant, Meritorppa, offers a fabulous view of the Gulf of Finland, as you sit by with your dinner. The hotel also has 17 meeting and conference rooms while those looking at other options can also head down to the six tennis courts. The Crowne Plaza Hotel in Helsinki is located right opposite the Finnish National Opera. For those guests travelling on a pleasure passport, there could be no better location. The hotel offers a short walk or drive to almost all of the city’s major attractions including the Finlandia Hall, the Olympic Stadium, the National Museum as well as the Helsinki Cathedral. There are plenty of restaurants, at the Crowne Plaza Hotel, that serve fantastic Mediterranean and International cuisine. Meeting and conference rooms are ideal for business travellers while a fitness centre and spa can help guests relax and slow down. 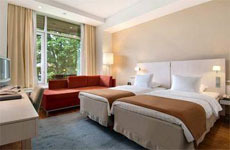 The hotel also boasts of a fantastic swimming pool as well as excellent in-room amenities. Seconds from the harbour in Helsinki, the Rivoli Jardin hotel is placed on one of the most beautiful streets in the city. The Esplanades, Helsinki’s shopping heaven, is an extremely popular walk-way, not just for its stores & shops, but also for its fantastic view of the harbour & sea. The design district is just a few minutes away while the Market Place and Senate Square are also within walking distance of the Rivoli Jardin Hotel. The hotel is a modern extravaganza of delight, with excellent rooms and fantastic amenities. The restaurant, at the Rivoli Jardin Hotel, offers excellent seafood while the bar is a great place to unwind. The hotel has a fantastic lobby as well as adequate business facilities and meeting rooms to serve guests of all kinds.